The 2017 Mega-Tins serve up our annual holiday season treat of some of the year’s most popular cards! Each Tin includes 3 x 16-card Mega-Packs containing the top cards from 2016 and 2017’s booster sets Shining Victories, The Dark Illusion, Invasion: Vengeance, and Raging Tempest. As always, each Mega-Pack will contain 1 card of each foil rarity (so 1 Secret Rare, 1 Ultra Rare, and 1 Super Rare in each pack) and all cards included will be in their original booster set rarity. 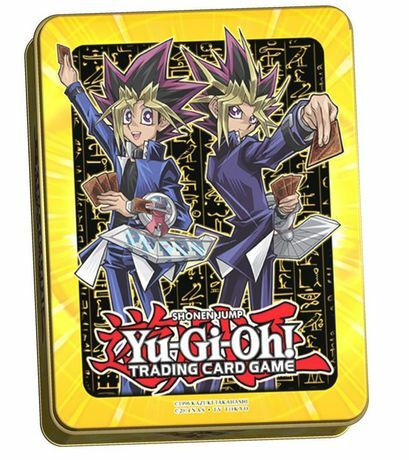 Each 2017 Mega-Tin will also include additional variant cards (non-randomized), all encased in an awesome metal storage case with brand-new art. 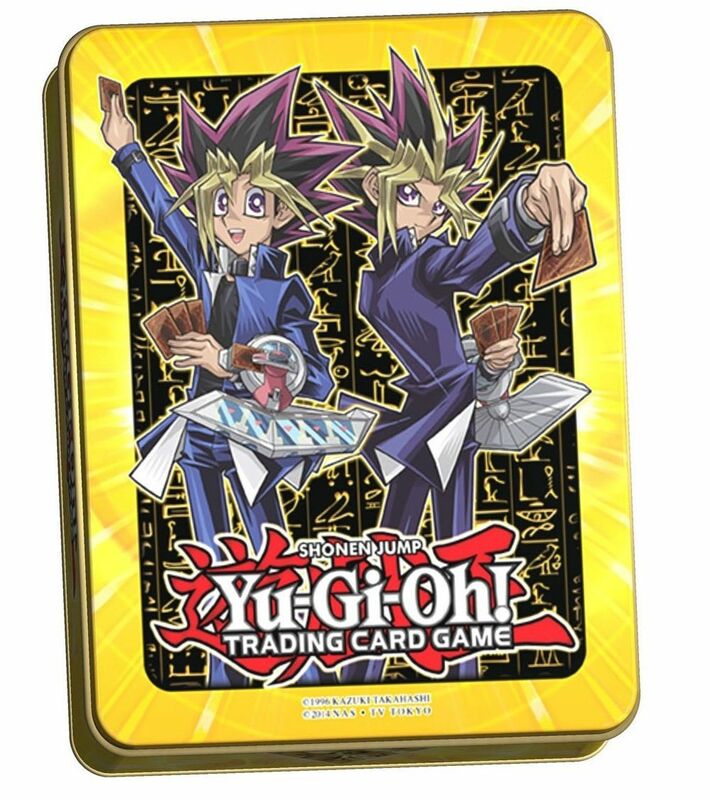 Duelists can choose one of two tins, showcasing either the dual nature of Yami Yugi and Yugi Muto, or the singular awesomeness that is Seto Kaiba! Each 2017 Mega-Tin is sold separately.